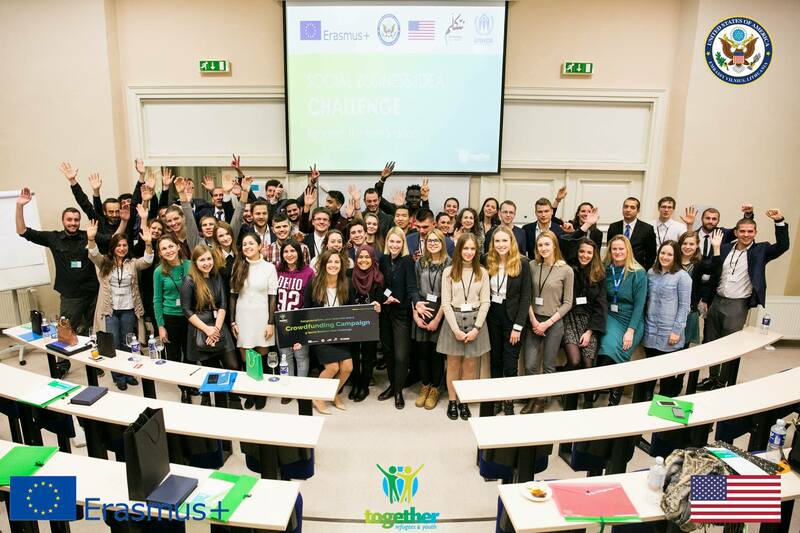 On 9th December an international “Social Business - Conference 2017“ was held in Vilnius. 10 best teams from across Europe introduced their business ideas to the audience with the purpose of showing how we can integrate refugees into our society more easily. Their ideas were judged by the special comitee consisting of professionals working in the field. Speakers from United States of America and United Nations High Commissioner for Refugees (UNHCR) were invited. Also there were local participators such as non-profit agency “Enterprise Lithuania” and “Mano Guru” which promotes business development and provides consultation for social integration projects not only in Lithuania but across the globe as well. During the conference interesting discussions were held about the issues refugees are facing when fleeing their homeland. The big problem is the negative attitude towards refugees and the participants of the conference tried to think about the ways to change it. During coffee breaks our friends UNHCR let the participants go through 3D virtual reality journey to see the truth of refugees daily-life in Zaatari camp. Also, there were free professional business consultations from the experts who shared their own life experience. This conference was a final stage of the Erasmus+ project called “Together: Refugees and Youth”. The goal of this project is to promote positive attitude towards migrants and create the instruments for more fluent and successful integration of refugees.